Braves pitcher Arodys Vizcaino, who on Monday was placed on the 10-day injured list with right shoulder inflammation, had surgery on Wednesday, and he has been ruled out for the season. 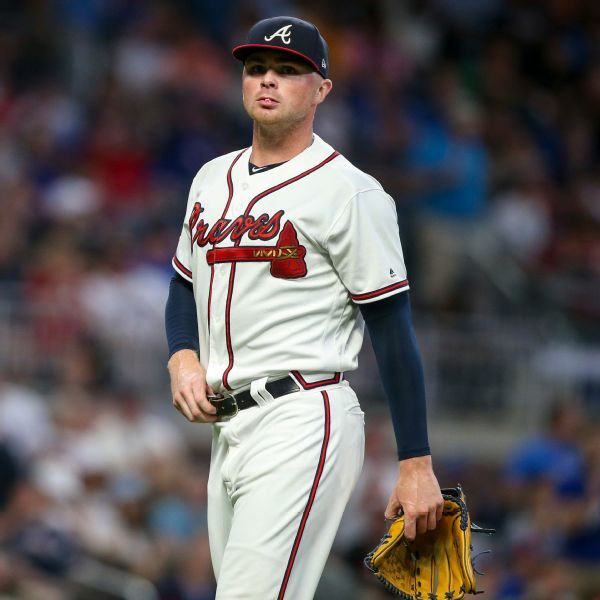 The Atlanta Braves have sent starter Sean Newcomb to Triple-A and placed closer Arodys Vizcaino on the injured list. Touki Toussaint will move into the starting rotation and A.J. Minter becomes the full-time closer. 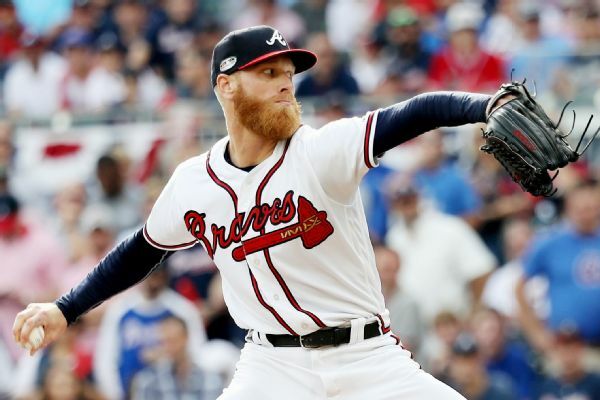 The Braves have agreed to a $5,475,000, one-year deal with Mike Foltynewicz, avoiding arbitration with the All-Star right-hander. The Atlanta Braves have placed closer Arodys Vizcaino on the 10-day disabled list with right shoulder inflammation. 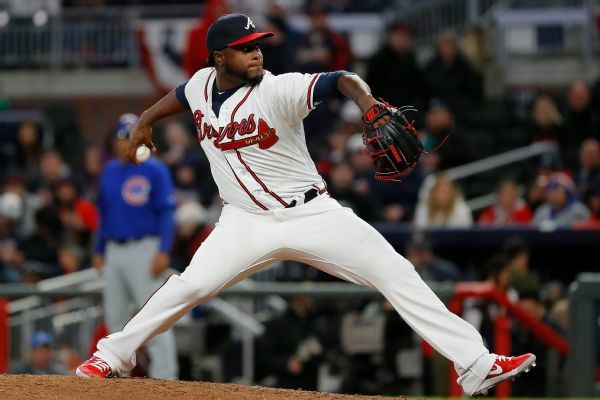 Closer Arodys Vizcaino, who was put on the disabled list on June 24 with inflammation in his right shoulder, was activated Tuesday by the NL East-leading Atlanta Braves. 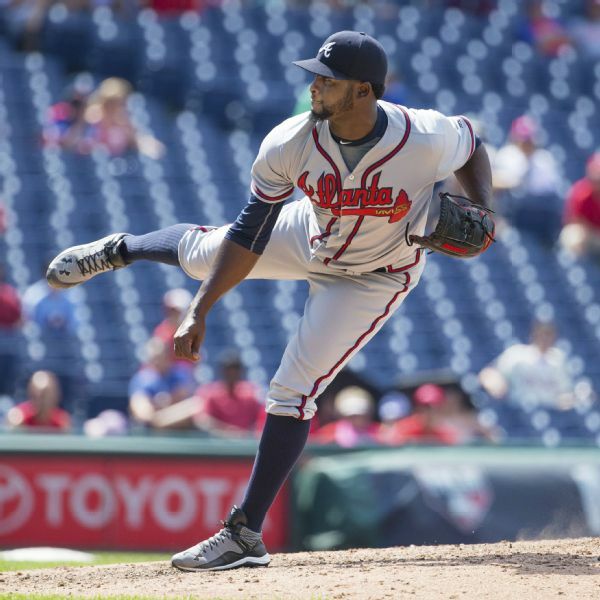 Braves right-hander Arodys Vizcaino has landed on the disabled list with right shoulder inflammation. Vizcaino was not available to pitch in the first two games of the Braves' series against the Orioles. 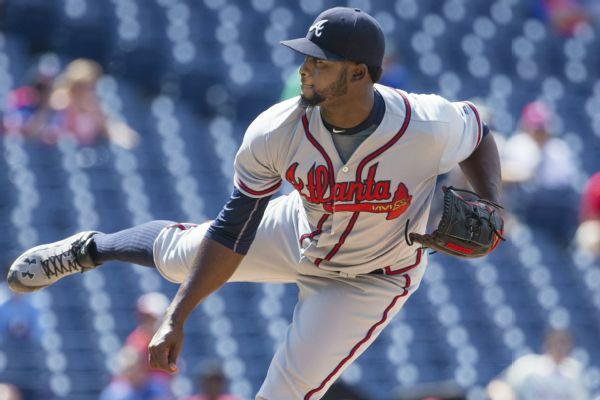 Reliever Arodys Vizcaino avoided arbitration with the Braves by signing a $3.4 million deal. Atlanta also reached agreements with righties Sam Freeman and Dan Winkler. Mike Foltynewicz is still eligible for arbitration. October baseball is here, and that's great. 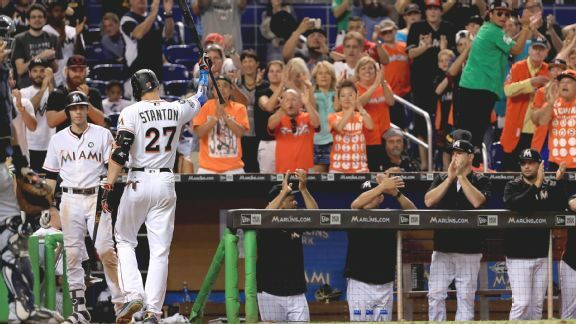 But we'll miss the thrill only a 162-game season can provide -- even if the final day was hardly a classic. 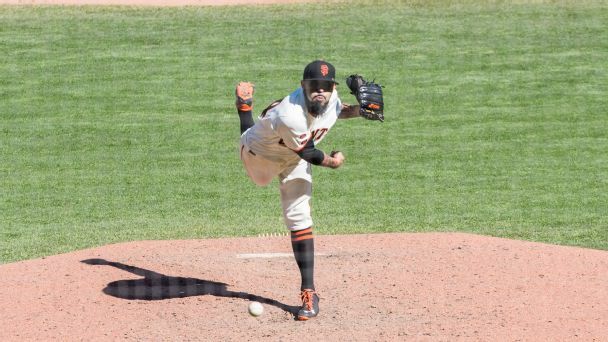 The New York Mets have expressed interest in free agents Sergio Romo, Joe Smith and Jerry Blevins, per sources. 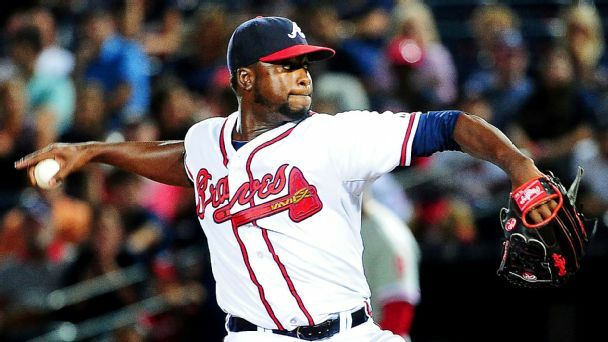 The Atlanta Braves have agreed to one-year deals with relief pitchers Arodys Vizcaino and Ian Krol, avoiding arbitration.